A night out to benefit Shelter House in recognition of National Hunger & Homelessness Awareness Week. 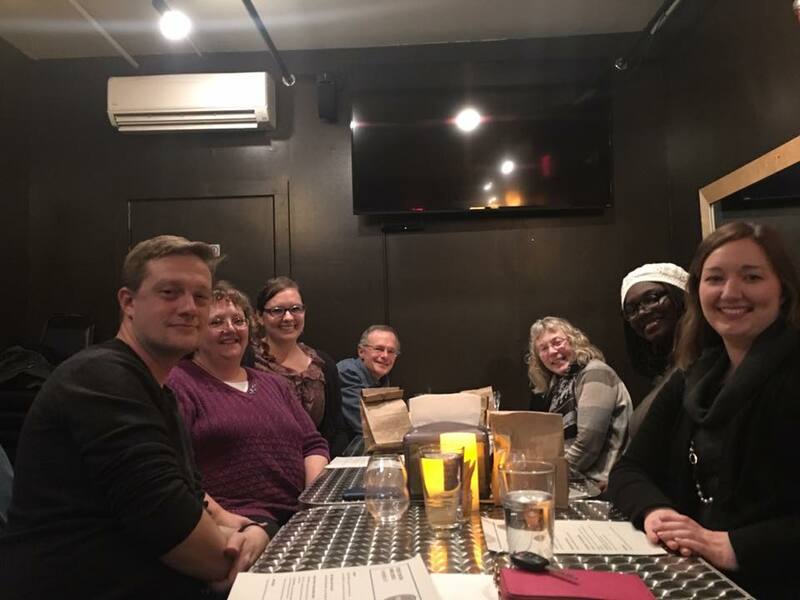 This is a fun and interactive way for restaurants to do what they do best by serving their flavorful dishes to interested diners while giving community members a chance to interact. Buy your tickets today! Prices start at $20/person. RAYGUN Iowa City will be hosting a pop-up shop on Sunday, November 11 from 1pm-4pm. 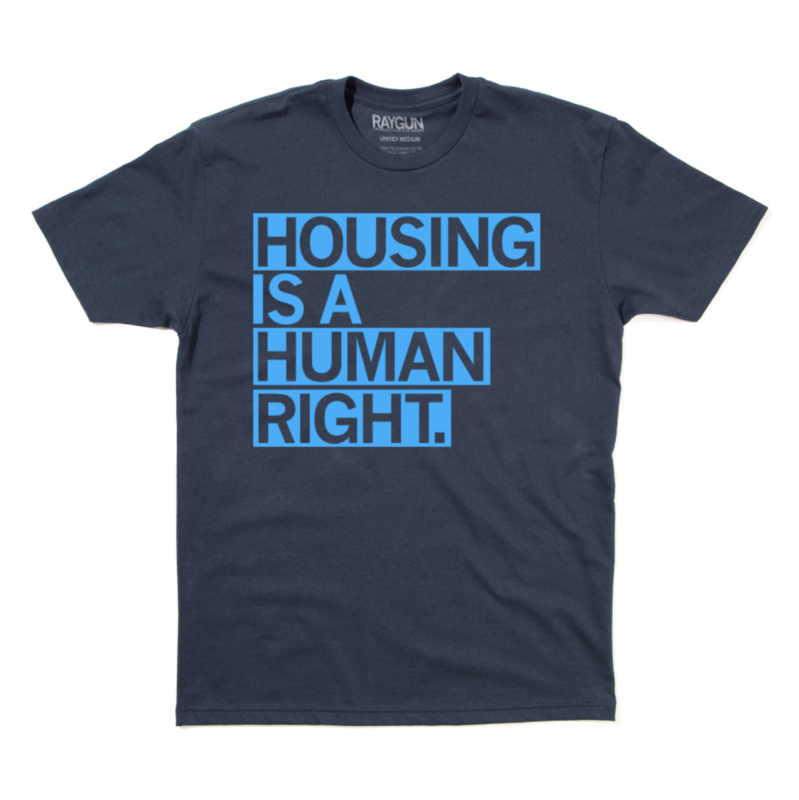 Buy a "Housing is a Human Right" shirt at RAYGUN and 20% of your clothing for a cause purchase will be donated to Shelter House through November 30. Shirts available in-store or online here. Faith Community kickoff: Sunday service announcements and love offering. 10-2pm: Under Your Wing Donation Drive (and Wednesday, November 14) to support Shelter House's Low Barrier Winter Shelter. Visit their Facebook event page! 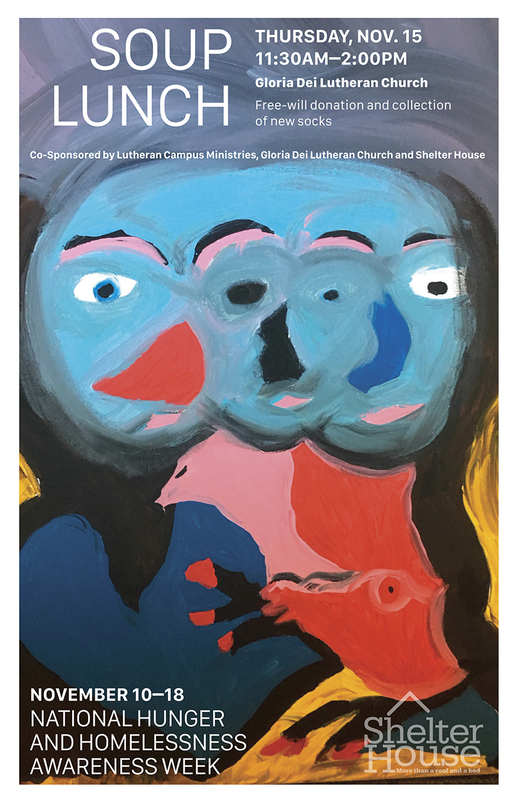 6:30pm: Finding Place exhibit at FilmScene Shelter House & the Fairweather Lodge program, in partnership with Film Scene, are proud to feature Aaron Kahler & Owen Johnson's art in "finding place" Exhibit open to the public November 12-30. Founder's Day Celebration: Celebrating 35 years of service to individuals experiencing homelessness in Johnson County and surrounding communities. 6pm: Foodies Fighting Homelessness: Purchase tickets here. 10-3pm: Community Connections Day and Veterans' Stand Down: Winter clothing, bus passes, haircuts, foot clinic & other services available; sponsored by Johnson County Local Homeless Coordinating Board. Click here for more details. 11:30-2pm: Soup Luncheon at Gloria Dei Lutheran Church. Click for details. Volunteer Day of Service: Organize a service project or join compassionate and caring volunteers at Shelter House. 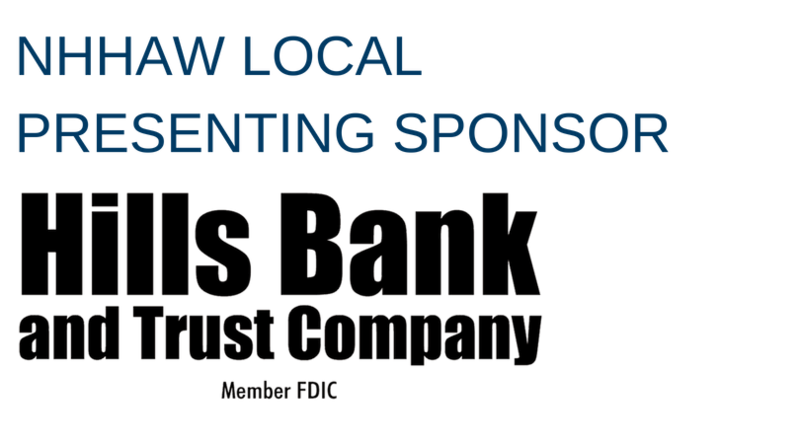 Hills Bank employees will be prepping, cooking, and serving hot breakfast for shelter guests.